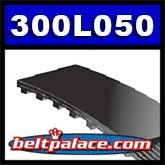 300L050 Industrial Timing Belt. 30" Length, 80 teeth. Trapezoidal tooth profile. 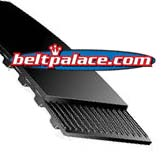 Industrial 300L050 Timing Belt. 30" Length, 80 teeth, 3/8" Pitch. Trapezoidal tooth profile. Neoprene with fiberglass cord.